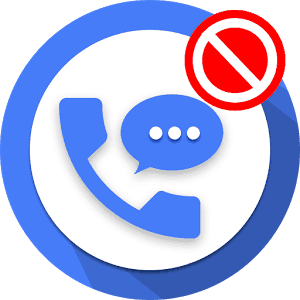 Android call blocker apps is a must-have, considering the many times we do receive unnecessary calls and texts from unwanted persons, including spammers and telecom services providers. The calls are not just annoying and embarrassing, but are reckless and gets in many times a day. 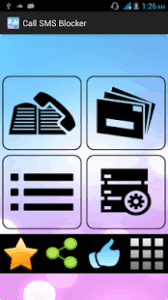 Coming to the SMS aspect, many-a-times our service providers flood our inbox with different types of annoying messages. Also, some fraudsters now use online bulk SMS portfolio to send unnecessarily annoying messages to our cell phones.This many disturbing issues is purely the reason for this post. 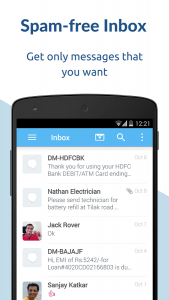 The introduction of Android OS has made a lot of positive impact to our mobile comfort and satisfaction. 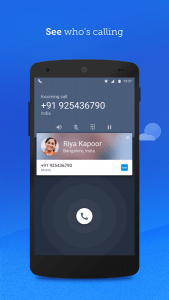 Some Android powered devices (such as Samsung, Xiaomi and Gionee) does have the built-in feature to block unwanted calls and texts, but most others do not come with this function by default. 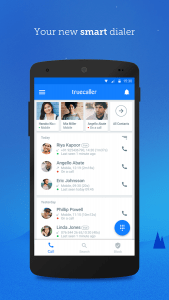 Lucky enough, some renown App developers have come up with awesome android applications that lets you Block unwanted calls and text messages. 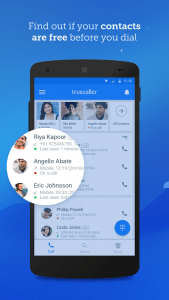 From the many android call blocker apps on the Google play store, I have chosen to list out these eight (8) that have proven to work great, even on low spec’ed devices. They comes with the feature to block by keyword, numbers, known tele-marketers and from the long list of reported spam numbers. 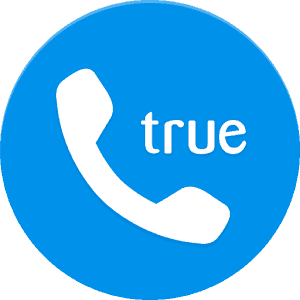 Enjoy and savor your phone calls with the True caller App. 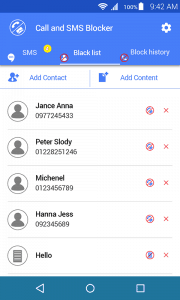 This App lets you identify person calling you and the location the person is calling from, it also enables you to block certain people from calling or texting your cell phone line. 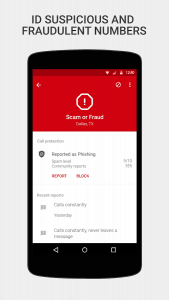 In a fraudulent community like this, True Caller can come in handy for blocking spam numbers and unwanted text messages. It comes with the free (ads supported) and paid version. Mr. Number is the second in our list today. 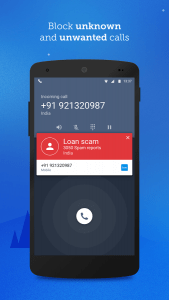 This Apps is so superb and enjoyable, it grants easy access to block unwanted calls and to find and halt spam, scam and fraud. 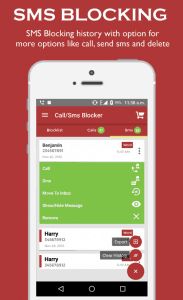 This App is one of the most powerful call blocker on playstore and it automatically looks up all callers in your recent call list! 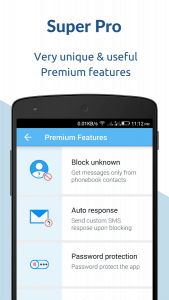 Just as the name implies “SMS Blocker”, This Apps prevents and stops spam messages from flooding your inbox. It automatically blocks spam messages. 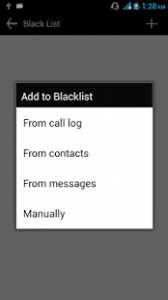 Just like other Android Call and texts Blocking Apps, Calls Blacklist offers permission to restrict some group of numbers or a particular number from accessing you/ reaching you through phone calls. 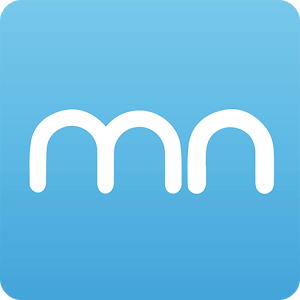 The App works well on long list of Android devices including low-end, budget phones. 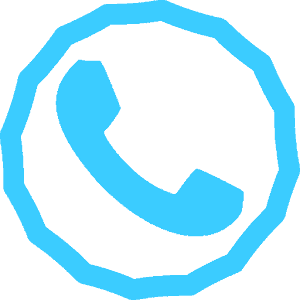 block calls from: unknown, anonymous (private or hidden) numbers. 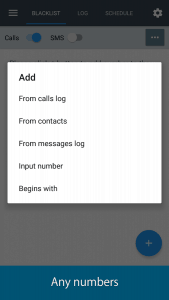 “Log” of blocked calls and messages. 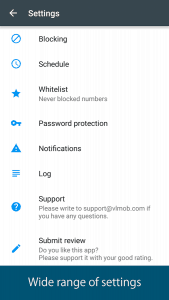 Blocking notifications (can be disabled in the settings). 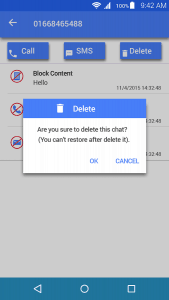 Enable and disable blocking with one click. Does not consume memory or CPU resources. 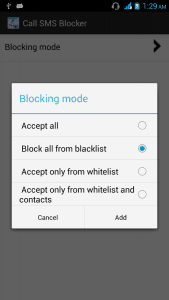 Bonus tips: you can simply remove a number you wish to unblock from the blacklist by clicking on the number and select “Delete” in the pop up menu. Call and SMS Blocker App is a very good encouraging blocking app for Android users to put a stop to disturbing calls and text messages. Accept only from white-list and contacts. Does not consume extra memory or CPU resources. 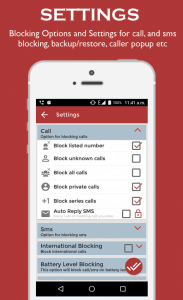 Blocked calls and SMS will not show in call log or Messages of phone. 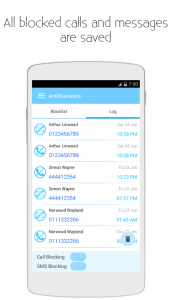 Anti nuisance Call and SMS blocker is an Easy to use call and SMS blocker app flaunting many blocking options. 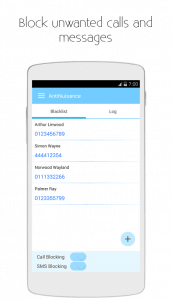 To Restrict a number from calling or texting you simply add it to the blacklist. 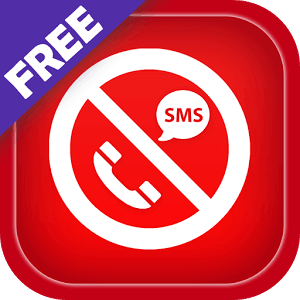 This app also block phone calls and SMS texts from anyone at specific hours; example: between 10 PM and 4 AM. 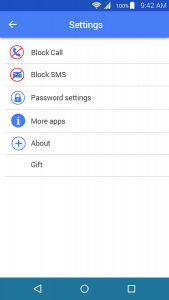 Block incoming calls and sms using the blacklist. 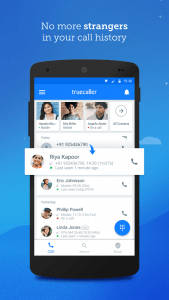 Block private calls or unknown calls (unknown caller id). 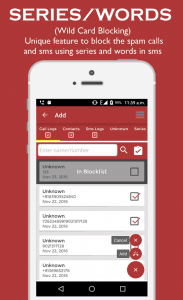 Call and SMS blocker profiles. 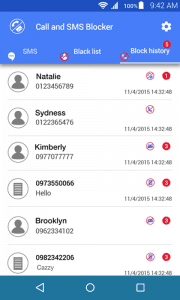 You can use different call blocking profiles and SMS blocking profiles for different groups of numbers. 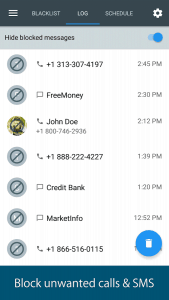 Blocking calls and text from everyone but contacts. 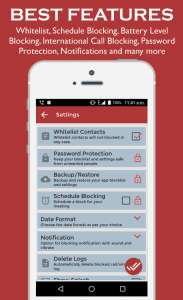 Control the call block mode of the app. 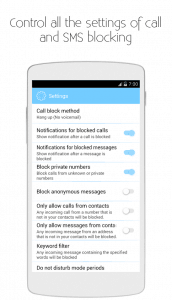 The call block mode has three options: hang up a call, answer call mode and mute the ring of the incoming call. 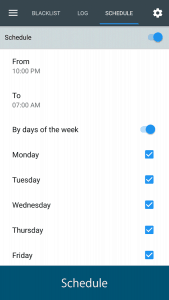 Msg and call block log for knowing who have been blocked during the day. 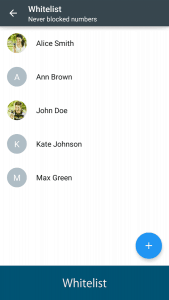 Blocking calls and text using area code, prefix or postfix. 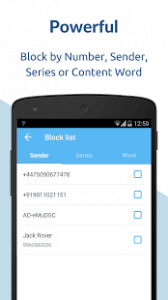 Block sms spam using keywords. 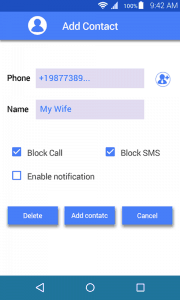 Block sms from unknown numbers. 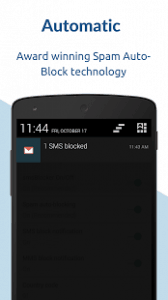 MMS text blocker for kitkat and lollipop systems. 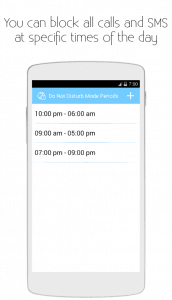 Block numbers and texts using the ‘Do Not Disturb Mode (dnd)’. 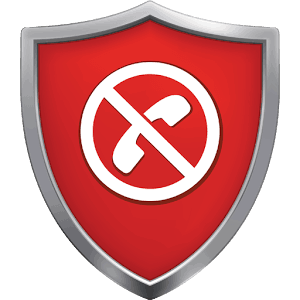 Note: For Anti nuisance Call and SMS blocker app to work on Android Kitkat/lollipop, users are required to set the app as their default texting app. 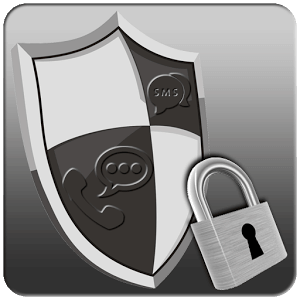 SMS blocker, call blocker lands with great features with full functionality of this App, you are sure to send messages, chat, send MMS picture. 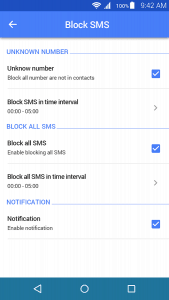 Enable/Disable notification of blocked calls and SMS. 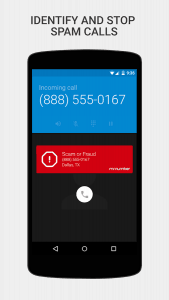 Do you feel embarrassed with silly calls and spam messages? 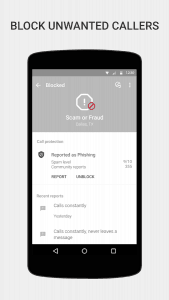 You can put an end to it with the Yo Call and SMS Blocker App. 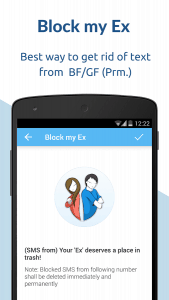 This App blocks unwanted calls and text messages using a robust blocklist function. 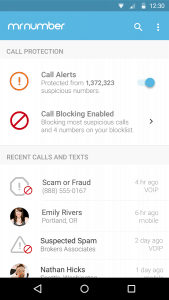 You can block unwanted calls from your EX, automated texts from tel-marketers and/or any other form of annoying calls by installing any of the listed android call blocker apps to your cell phone. 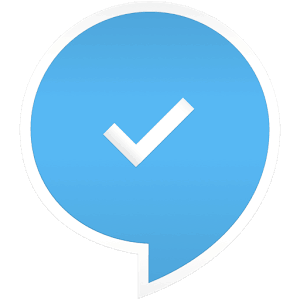 Feel free to recommend other apps you’ve used successfully to block unwanted calls and text messages to us via the comments section below. 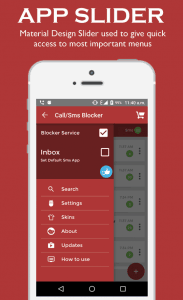 Love this list of sms and call blocker apps. I can now block people that are no longer giving significant things in life. Love this list of apps. It will help you get rid of people that are too annoying. Thank you for sharing this great information. This information helpful and useful for many people and in this post give good explanation in detail that helps people. It’s Wonderful information.